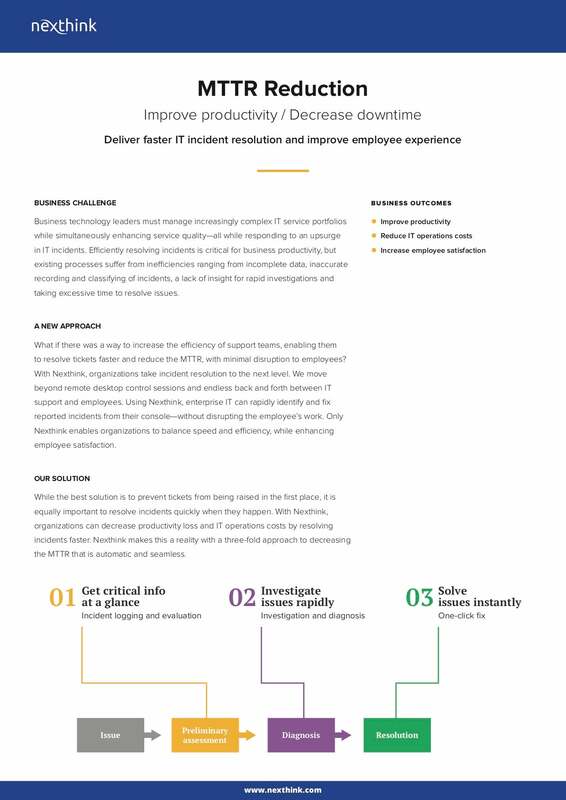 Deliver faster IT incident resolution and improve employee experience. What if there was a way to increase the efficiency of support teams, enabling them to resolve tickets faster and reduce the MTTR, with minimal disruption to employees? While the best solution is to prevent tickets from being raised in the first place, it is equally important to resolve incidents quickly when they happen.